Central Art Gallery is now closed. There are new extended opening hours at Astley Cheetham Art Gallery in Stalybridge . Find out about opening times, facilities and activities. All our sites are free and we have a changing programme of events and exhibitions with something to appeal to everyone. Tameside Museums and Galleries are part of the Greater Manchester Museums Group. Find out more about our connected history here. 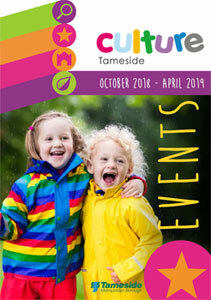 You’ll have great days out at Tameside Museums and Galleries. There is so much to see and do, with the chance to learn about Tameside’s fascinating history and industrial heritage. If you would like to be kept informed of future events and activities, please contact us via the details below requesting to be added to our emailing list.